Sponsored by Gigasavvy. All opinions are our own. 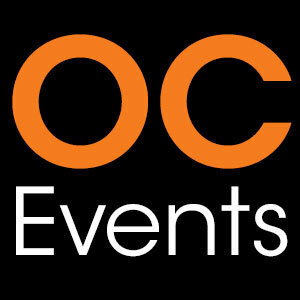 There’s a delicious new way to beat the heat this summer in Orange County! Skoop by @Nekter Juice Bar is a rich and creamy frozen treat, made fresh daily from pure ingredients such as cashew milk, honey, coconut sugar, agave nectar, pure cocoa and Tahitian vanilla. All the flavor and none of the guilt because Skoop is also dairy free, soy free, gluten free and contains no refined sugars. 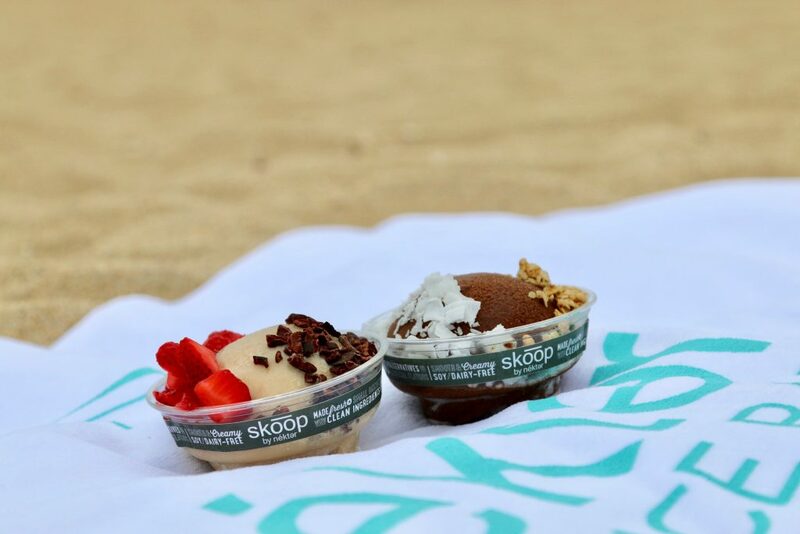 Skoop is currently available in 2 delectable flavors, Viva Vanilla and Chocolate Bliss. Additional flavors will be launching later this summer…stay tuned! You can find Skoop at over 30 Nekter locations including 12 locations in OC. 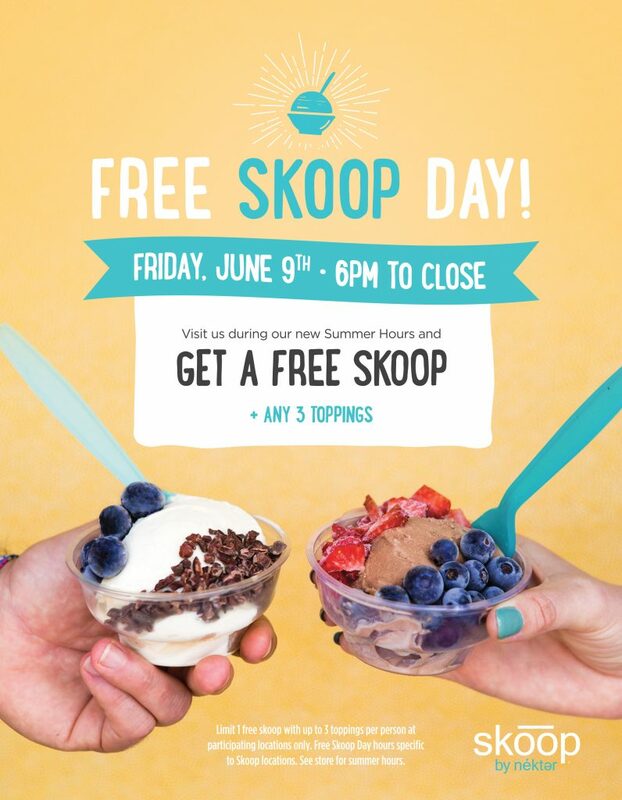 If you’d like to try Skoop then get over to your nearest Nekter location serving Skoop on Friday, June 9 for Free Skoop Day. From 6pm-closing you can get a free Skoop with any 3 toppings. Toppings include chocolate drizzle, vegan chocolate chips, cacao nibs, fresh strawberries, fresh blueberries, coconut flakes, hempseed granola and gluten-free granola. Find your closest location here http://bit.ly/2r6f6pj and let us know what you think of Skoop!